Dr. David Moiger, Therapeutic Optometrist, is dedicated to providing his patients with a thorough vision and eye health examination. The goal of Dr. Moiger and his staff is to exceed your expectations for service and quality. His commitment is the use of the most modern procedures and equipment in meeting your vision and eye care needs. Dr. Moiger is a graduate of the Southern College of Optometry in Memphis, Tennessee receiving his doctorate in 1970. 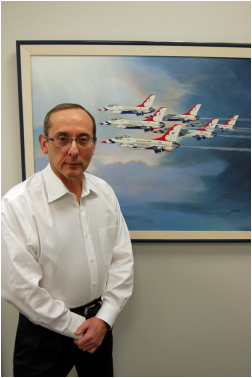 After graduation, Dr. Moiger returned to Southern College of Optometry where he taught until entering the United States Air Force in 1971. He served in the Air Force as a captain and was Chief of Optometric Services at both Reese Air Force Base in Lubbock, Texas and at Hancock Air Force Base in Syracuse, New York. After his four-year tour in the Air Force, Dr. Moiger returned to Texas practicing in El Paso until coming to Dallas in 1975. Dr. Moiger opened his practice in 1979 in the North Dallas area and continued in the same area until moving his practice to its current location at 3128 Forest Lane, Suite #252, Dallas, Texas, 75234. Dr. Moiger took over the practice of Dr. Arnold Katz in September of 2014 when Dr. Katz moved from Texas. Dr. Moiger is a member of the American Optometric Society (AOA), Texas Optometric Society (TOA) and the Dallas County Optometric Society (DCOS). He is a Texas Optometry Board certified therapeutic optometrist which allows him to treat many diseases of the eye and allows him to co-manage post cataract and post refractive surgery patients with ophthalmologists.